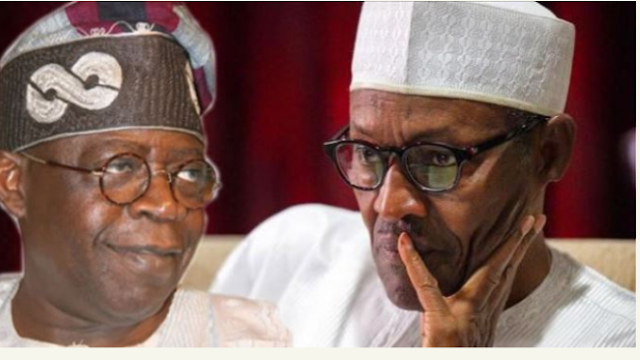 The Peoples Democratic Party, PDP has warned the national leader of the ruling All Progressives Congress, APC, Bola Ahmed Tinubu to be wary of President Muhammadu Buhari's current 'closeness' to him. The opposition party advised Tinubu not to 'let Buhari use him for a second time' to win the 2019 Elections. In a statement issued by its Publicity Secretary, Kola Ologbodiyan, the PDP also blamed the APC chieftain for the failure of the Buhari Presidency. "The PDP watched with amusement as Asiwaju Tinubu struggled with words to appease President Buhari and give him assurances that he can win a second term election in the face of mass failure both in governance and in their discredited, rejected and troubled platform". "It was a direct admittance of failure and indictment on President Buhari’s administration, when Asiwaju pointedly told the president that the ship of the nation, under his (Buhari’s) watch, still needs to be rescued, almost three years down the line. "It is tragic that Asiwaju had to tutor his visitor, who had no policy direction since his election in 2015, by engaging in a revision of the programmes and policies of the PDP, such as the leasing system, the mortgage and pension schemes which boosted the economy and directly impacted on the lives of Nigerians. "More pathetic is the fact that the APC leader presented the PDP programmes as if he was introducing novel ideas in the economy. "This clearly stood with our position that the APC government is incompetent and lacking in ideas of how to move the nation forward,".